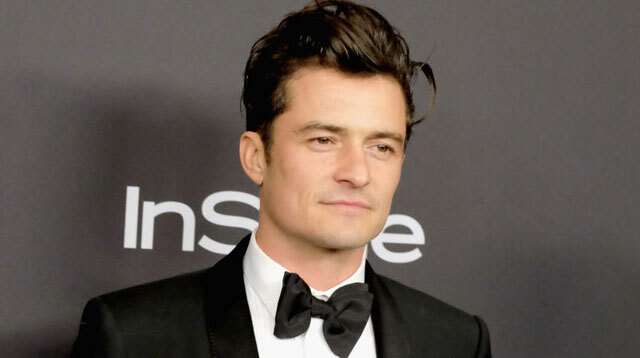 If you're not already following Orlando Bloom's newly public Instagram feed, you're going to want to get on there and check out his latest look. He's dyed his hair a new color, and if you think it looks familiar, it's because it matches the shades of his locks in the Lord of the Rings movies. His platinum blonde 'do is giving us serious Legolas vibes for the color alone, while the length and the slightly tousled texture are signature Orlando all the way. The actor captioned the hair debut: "back to blond...rolling to set…" And by "set," he's referring to the filming of cycling mockumentary Tour de Force. A second look at Orlando's hair came courtesy of a video, which showed him seemingly rehearsing a fighting scene, with his blonde locks flopping around. Basically, Orlando Bloom making his Instagram public was all we ever wanted in life. We just didn't know it until now. So, thoughts on his platinum hair?